Professionally I research the role science and technology play in shaping Africa’s development. Thus I naturally have an interest in the writing of Lauren Beukes given her position in the vanguard of the new science fiction that has been flowing from Africa. That, at least, is the introduction I had in mind to write. Like bed nets and mobile phones the African reality is a bit more complicated and unexpected. I had the pleasure to hear Beukes speak twice at this year’s Edinburgh Book Festival and she definitely referred to her latest book, ‘The Shining Girls’, as “high concept fiction”, and what’s more it isn’t even set in Africa (even if Chicago is apparently a secret proxy for Johannesburg). So much for my Sci-Fi ‘Out of Africa’ hypothesis; you see…. complicated. Complicated can be good, sometimes it may even be wonderful if it can be successfully navigated, unstitched or divined. In all three of her novels Beukes deals with big, complex things. 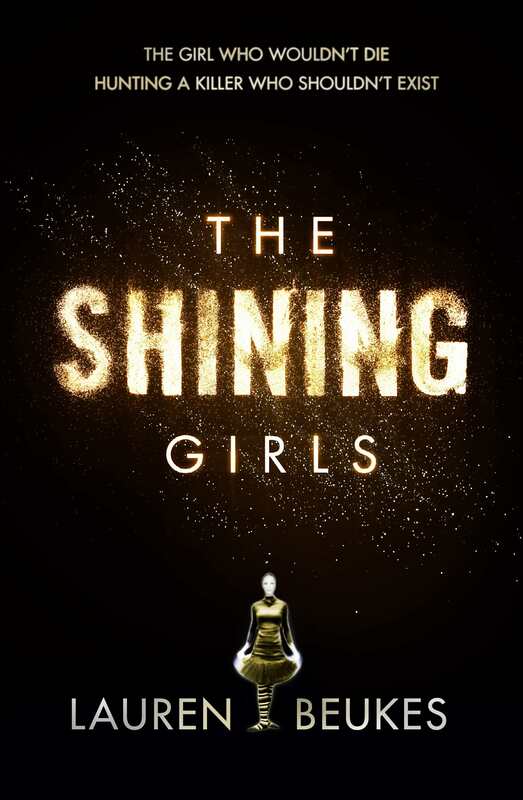 In The Shining Girls the focus is on pioneering women attempting to live their lives in times not yet ready for them. Zoo City is concerned with the past and identity, and the coming to terms with who one is and how others see us. 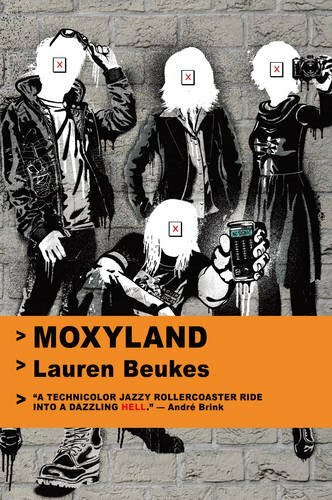 Moxyland creates a sort of distorted, techno-Apartheid in order to explore the excesses of a future whose every facet is made by corporations. In each of her novels Beukes focuses on ordinary people “kicking against reality”, she highlights the extraordinary in everyday life. This is probably most apparent in The Shining Girls where the time-travelling serial killer, Harper Curtis, is rendered as banal in his lust and violence in comparison to the powerful women who are (mostly) to become his victims. The time travel conceit acts primarily as an unexplained thread to tie the women’s lives together. 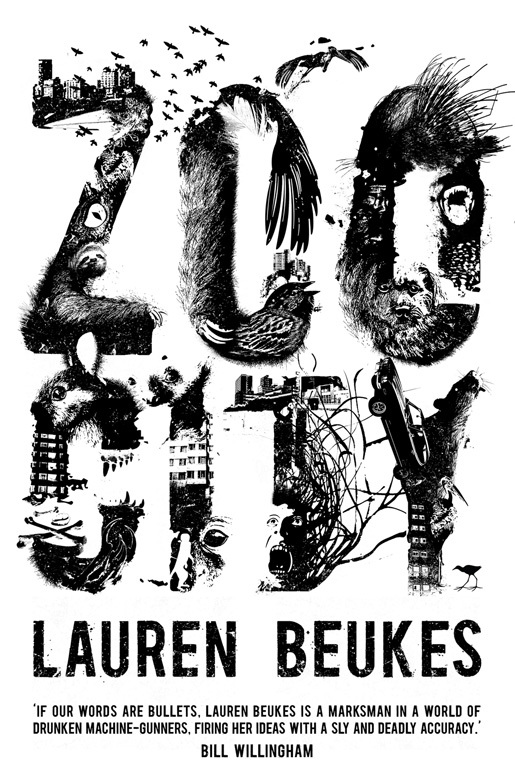 In her Edinburgh Book Festival talk and elsewhere, Beukes described the genesis of Zoo City as a sort of mental Polaroid slowly developing to reveal a young black woman, living in ramshackle inner city Johannesburg, opening a closet and putting on a sloth as if it were a backpack. Its what Philip Pullman might have ended up with if he’d swapped the Ivory Towers of his parallel Oxford with Hillbrow’s Ponte Tower; the sloth instead a daemon in need of a crash course in the Group Areas Act. In each of Beukes’ novels her protagonists are fighting to make their way in a world of constraint and conflict, where women have no equality and little opportunity, where Zinzi December is doomed to be labeled, “animalled”, in public perpetuity as she searches for some peace, where the poor have to live out their real lives as the virtual playthings of those who own the bandwidth. The characters are the thing, when they are so finely realised that they relegate a time-travelling serial killer to a bit part, or when the kernel of an entire novel is a mental snapshot of a young girl carrying a sloth. For Beukes, her fiction becomes a way to overcome the friction of “issue fatigue”, of living in a contemporary reality we have become increasingly inured to, in much the same was as allegory overcame political censorship in Apartheid South Africa. The abstract austerity of Coetzee’s Waiting for the Barbarians contrasts with the agency invested in the protagonists in Beukes’ novels. Her novels might be grand in vision but they are intensely personal in focus. This is, I think, the strength of her writing so far. As her characters struggle to balance their dreams in dystopias, Beukes hones their humanity within complex contexts and concepts. I had intended to write about the emergence of a genre of African science fiction concerned with the hybridity of the hypermodern and tradition, propelled by films such as District 9 and authors such as Beukes. As luck would have it, the author Beukes shared the stage with in the first Edinburgh event, Russia’s Mikhael Shishkin, shared an insight into writing that gets me (almost) off the hook. He said that there are two kinds of writers, those who are the master of the novel and those for whom the novel is the master. If you’re the former you can ring a bell and write on cue. If you’re the latter, you wait in a state of perpetual angst waiting for the bell to ring. In a world that is fair the latter would be the better writers. But the world is not fair, and if there are bells its not always clear who is ringing them. It’s a perpetual contestation between agency and hope and history and power, continually reshaped by politics and progress and technology. In her South African novels Beukes’ protagonists grapple to reconcile their history in the midst of the most modern and fractured of worlds. Africa’s relationship to past and present has never been straightforward and has often been contradictory, and it will only become more complex as Africans flex their agency in creating new ways of living. On reflection, I don’t think its African science fiction I’ve been reading, it is more like the advent of a high-concept, post-colonial genre where the boundaries of reality and the cores and peripheries are not what they were, are never what they seem, and not what we mean. 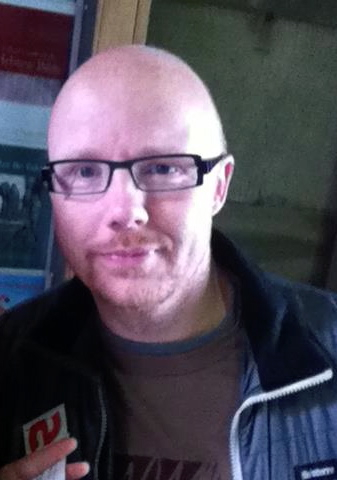 James is Professor of African and Development Studies and Assistant Principal of Global Development at the University of Edinburgh. He has studied, worked and lurked in (mainly South) Africa for almost 20 years, most recently on things like tsetse flies, sleeping sickness and alternative forms of energy. His publications – hopefully not classified as in the genres of science or speculative fiction – include Science, Technology and Development and Biofuels and the Globalization of Risk (both Zed Books). I came across this concept many years ago in either an Analog, Asimov or Astounding Science Fiction magazine. 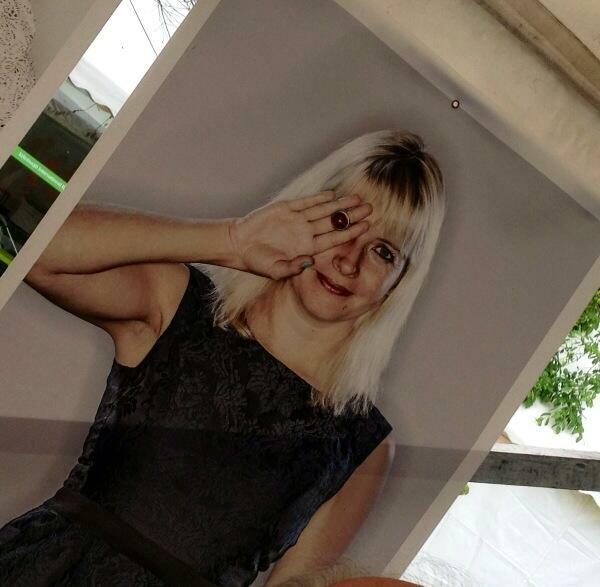 This was not conceived of Lauren Beukes.